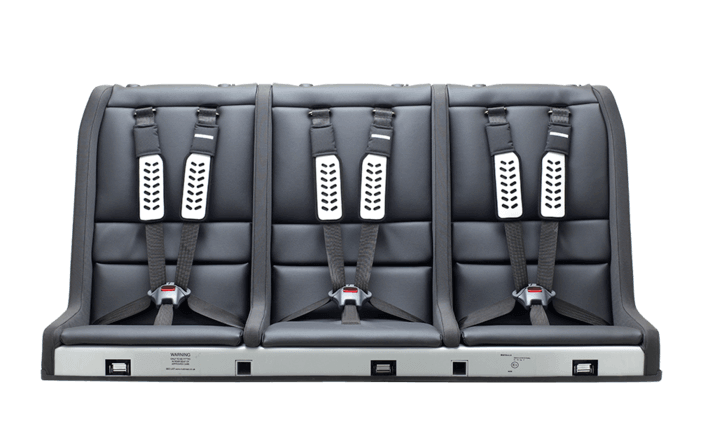 The detailed requirements of child seats is constantly evolving, and Multimac is ideally designed to cater for this. 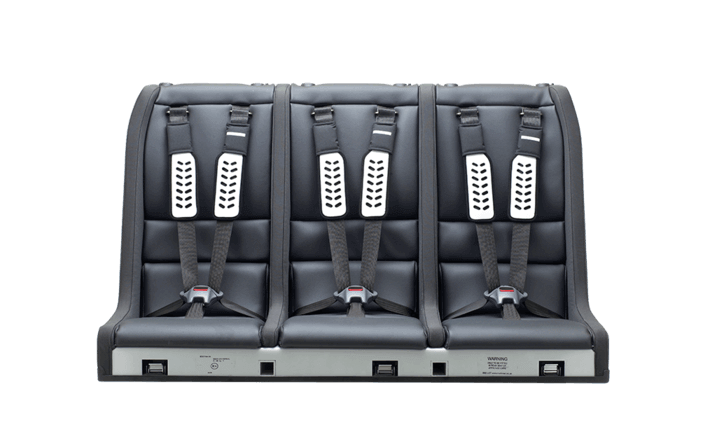 Its basis is a very strong, resilient, Aluminium chassis which fits virtually solidly in your car, to which are attached soft upholstery, and other accessories, either via the headrest sockets or MINIMAC attachment points. MINIMAC gives excellent side impact protection. Forward facing, the YLVA headrest will support children from 9 months to 6 years. However, alternative head/side supports can quickly be designed, made, tested and approved to satisfy any demand from parents or future legislators. 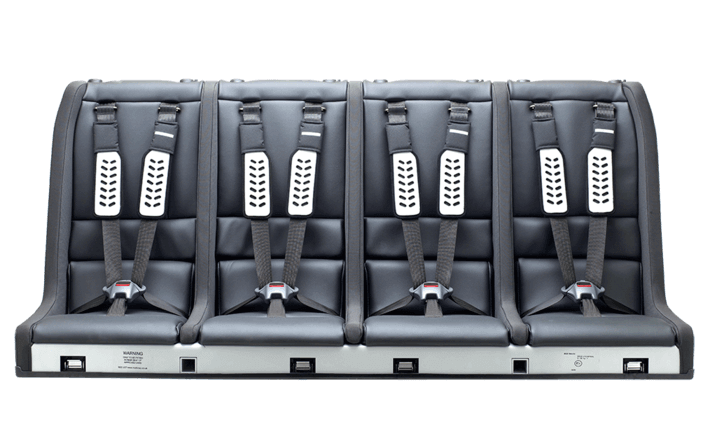 It should be noted that, almost uniquely, Multimac uses a 5-point harness (like a racing driver/stunt pilot etc) even for large children, which gives considerable support, unlike the adult lap/diagonal belt frequently used.